Home / brand new / brand new artist / música / Parker Matthews / Parker Matthews Drop New Single "Hit and Run"
Indie-pop/electronic artist Parker Matthews has released his brand new single Hit and Run, a catchy and beat-driven pop track that grabs the listener with both hands and doesn't let go. 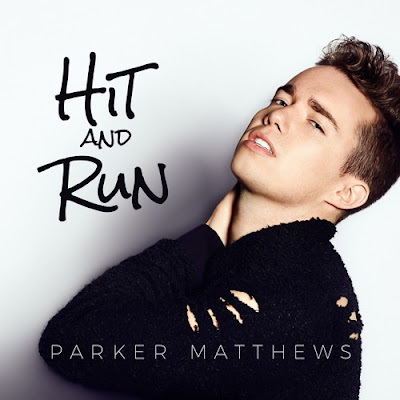 The song delivers a punchy one-two delivery of one of Matthews' most important themes: Sometimes it's worth taking a chance to find real and lasting love. Such a cool infectious track with upbeat synths and guitar. Stream it below! Born in Pittsburgh, Matthews first felt the call to music as a child watching Whitney Houston’s memorable Grammy Awards performance. Taking a page out of Houston’s inspirational tone and presence, he developed a sound of his own and found peace in the world of music. The singer-songwriter believes he can motivate and connect with disenfranchised LGBTQ listeners in particular through his story and poignant lyrics. Matthews is an advocate for suicide prevention and anti-bullying by supporting The American Foundation for Suicide Prevention and several LGBTQ+ organizations, and spreading positivity and fortitude through his music and lyrics.